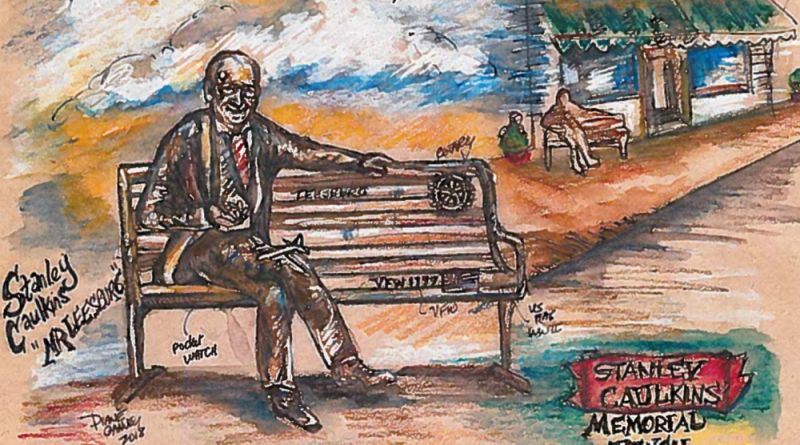 The Town Council voted unanimously April 10 to support the installation of a bronze bench sculpture honoring the late Stanley Caulkins. The sculpture will be privately funded, with the Friends of Leesburg Public Art leading the effort. The sculpture will be located outside the former Caulkins Jewelers’ space on King Street, now the home to Black Hoof Brewing. The project’s advocates hope to have it installed in time for Caulkins’ Oct. 6 birthday. The council’s vote to approve the next round of sculptures at Raflo Park not unanimous. Vice Mayor Suzanne Fox and councilmen Josh Thiel and Tom Dunn voted against the installation of five new sculptures at Raflo Park. In comments explaining their votes, both Thiel and Dunn pointed to the selected art itself. Thiel, who lives in the Crescent Place neighborhood across from the park, also said he was not a fan of the art and noted that his neighbors have voiced a preference for open space at the park, rather than a sculpture garden. “That’s what art is about—to make us think,” she said. The new sculptures will be installed by July 1.